Adam’s chickens are rotationally raised, they are three weeks old when they are put out to pasture; a pasture that has been first grazed by his sheep who leave behind droppings…which bugs and insects love…and thus, creating a fabulous feast for his chickens. 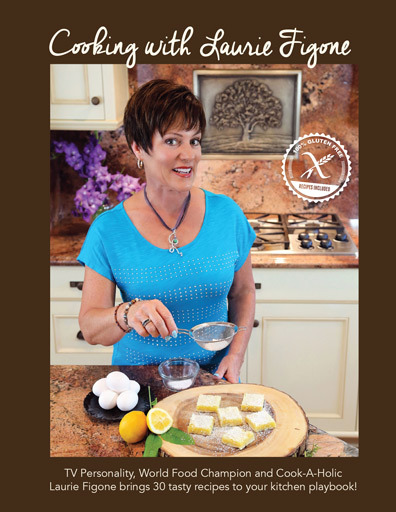 What impressed me most about the chicken I cooked…the flavor was what I have been searching for. Amazing flavor minus the fat that usually comes with chickens…I chill my broth after poaching and I didn’t even have a layer of fat to cover the top of the bowl!! 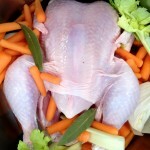 Rinse chicken under cold water. 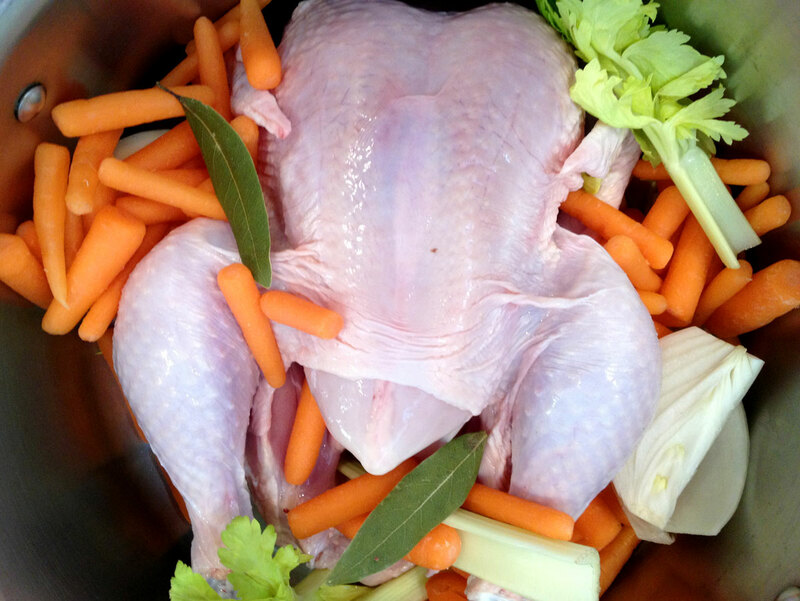 Place into a stock pot and add remaining ingredients, adding just enough water to cover chicken. Bring to a boil, immediately reduce heat to a low simmer and partially cover the pot with a lid. Simmer for an hour, just until done. Remove from the heat and let cool for ½ hour. Remove chicken from the broth. Pick the meat from the carcass as soon as it’s cool enough to handle; you should end up with about 5 cups of chicken meat. Strain the broth. At this point you could be done, or you could add the bones back to the broth and simmer for another hour adding another layer of flavor to your broth. 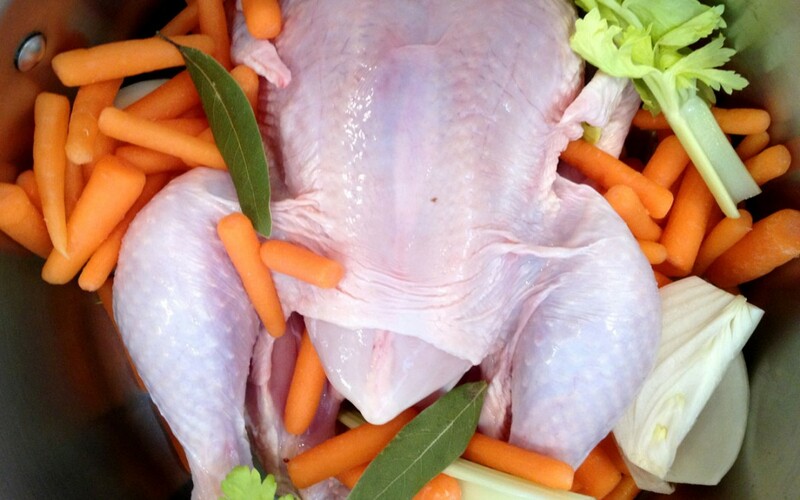 Chill the broth until the fat has congealed; remove the fat. The broth can be used now or frozen.